Egypt is full of ‘bucket list’ experiences. 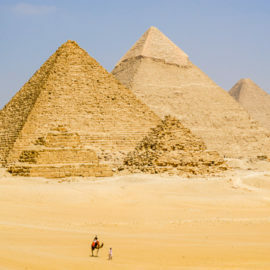 The most famous of these would easily be the Great Pyramids of Giza near the capital city of Cairo, but there are also some other ‘must see’ sights in central and southern Egypt. 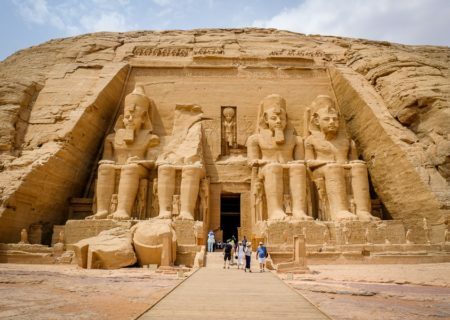 These include the archaeological museums and temples of Luxor, and the incredible pharaoh statues and ancient tombs at Abu Simbel. The climate of Egypt is arid, so it’s hot and dry year round. The coolest months are from December to March, and this is probably the most popular time to visit, but honestly any month in the spring or fall would also be fine. I visited Egypt in September, and the heat was bad at times in Luxor, but I didn’t think it was too much of a problem in Cairo. Egypt is not as hot as nearby Middle Eastern countries like Qatar and the United Arab Emirates. Egypt has struggled with some safety issues over the years, but the situation seems to be improving. Even so, I’d recommend avoiding crowds and practicing situational awareness; terrorist attacks have occurred near some popular tourist areas in Egypt. The other thing to note is that Egyptian culture is conservative, so clothing in public should be modest. 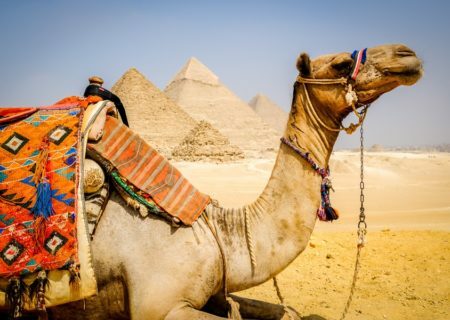 Egypt is a budget friendly travel destination, with hostels available from $6 and private hotels from $17. With that said, your money won’t go as far here as it will in Southeast Asia. Meals in Egypt are about $5 to $10 depending on location. Transportation is generally by car or train, and these are very affordable. You can use taxi apps like Uber and Careem in Egypt.